This category will represent all kinds of the problems or application for HopeRF products. RFduino Board original design for all of the Wireless modules can share with same Library and can run a Wireless communication code with the RFduino Board.This User guide will show you how to use the RFduino Board to delevelop the RFM92W,RFM95W,RFM96W,RFM98W LoRa module etcs. RFduino Board which also name HopeDuino But we used to call it as RFduino board.If there are any questions please contact us sales@dwmzone.com. We will give more details about the name. 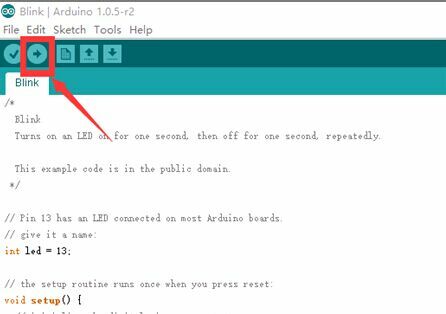 If you are the firt time use the RFduino Board please visit the RFduino Board User Manule. 1.) Set two RFM9X LoRa module to The RFduino Board . 2.) Connect the RFduino Board to the PC by USB cable. 4.) 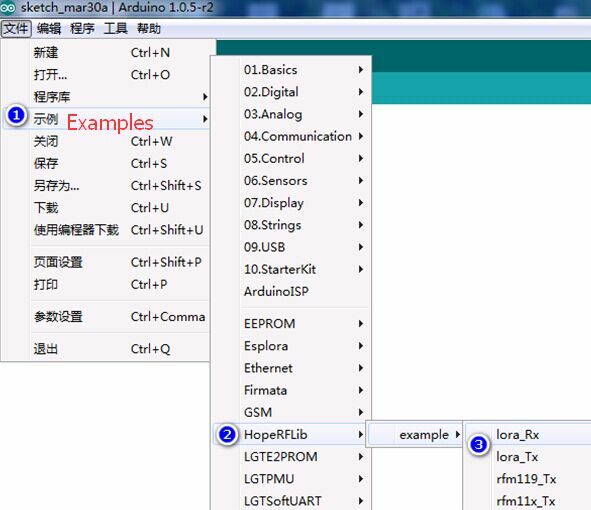 Opens the Arduino IDE interface, click on the [file] – > [example] -> [HopeRFLib] -> [lora_Rx], the following figure. 5.) Compile and download the Software. 6.) 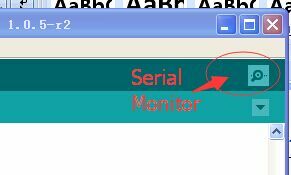 Serial Port Monitor the TX and RX communication. After Compile and download the Software the TX will start the wireless transmission periodically and you can set the Rx serial port and check the received data package by click the “Serial Mornitor”. Note: You can check the UART Library which content the function for UART communiction here is the Route: HoepRF-HSP->libraries->HopeRFLib -> HopeDuino_UART. FreqX, byte, redundancy, rounding 4 bytes, No meaning. LoRa :Semtech characteristic spread spectrum modulation technique. Content: LoRa module EVB/DK Kits(RFM92W,RFM95W,RFM96W,RFM98W). Content: SF6, SF7 SF8 SF9, SF10, SF11, SF12. Description: define modulation demodulation system, OOK, FSK, GFSK,LoRa by selecting one of the them. Description: definition module model, COB said Chip – On – Borad, can be choice from LoRa module EVB/DK Kits(RFM92W,RFM95W,RFM96W,RFM98W). Description: the target operating Frequency, the unit KHz, such as: Frequency = 433920, on behalf of 433.92 MHz. Description: the target rate, the unit ns, such as: SymbolTime = 416000, representing 416 us each symbol, It means the rate is 2.4 kbps. Description: the target work frequency deviation, in view of the FSK and GFSK launch needs to be defined, unit KHz, for example: Devation = 45, It means the Frequency Deviation is 45 KHz. Description: the target work receive BandWidth, for receiving need to define the unit KHz, for example: BandWidth = 100, on behalf of the receiving BandWidth is 100 KHz. Description: the target output power, in view of the need to define the launch, range 2-20, unit dBm, for example, is set to 10 means the Output Power is 10 dBm. Function: Preamble of packet length setting, need to be configured for launch, byte units. Description: choose whether or not to bring in a packet function CRC, set true representative prohibit CRC function;Set up false open CRC function. Description: define packet is fixed packet length, or longer packets, set true representative fixed packet length;Set the false on behalf of the variable-length packet format. Description: wireless packet format, the synchronization word length, set the range is 1 ~ 8 bytes;Cannot be set to zero bytes. Description: set the packet format, the synchronization word, the content of the need and SyncLength set in accordance with (length). Description: in fixed packet length model, defining fixed packet length. Description: set LoRa mode of spread spectrum factor, can choose SF6, SF7, SF8, SF9, SF10, SF11, SF12 one of them. Description: set LoRa mode emission bandwidth parameters, can choose BW62K, BW125K, BW250K, BW500K one of them. 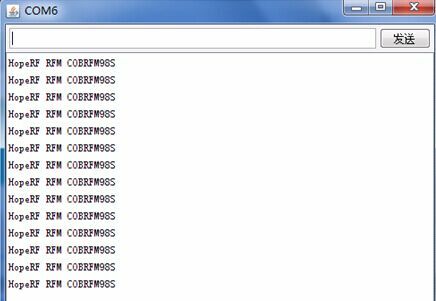 Description: set the CodeRate LoRa mode, can choose CR4_5, CR4_6, CR4_7, CR4_8 one of them. Description: initialization module (chip), suitable for RFM66 module, the program started calling;Before the call, it is necessary to the foregoing associated variable is set to complete.Initialization function after the configuration (including call vConfig function), that module (chip) for Standby state, namely, not hair, not closed, not sleep. Description: configuration parameters to the module (chip), applicable to the program need to reconfigure the parameters in the process of work.Also need to complete the associated variable is set before invoking it.If the associated variables set up complete, the follow-up is unchanged, only want to reconfigure a parameters, can be called directly;If need in the process of work, the work of switching frequency, etc., need to modify the relevant parameters, and then in the call.After the call, need to use working mode switching function, so that the chips accurately to the specific work mode, the mode switching function are: vGoRx, vGoStandby, vGoSleep etc. Description: configuration module (chip) into the receive mode. Description: configuration module (chip) to enter standby mode. Description: configuration module (chip) into sleep mode. Description: the data are sent to launch, just send a (a frame);Sent after the completion of automatic return to Standby mode (Standby mode). Description: query whether receives the data, the query object is chip output IO state, if not received data, returns 0;If the received data, returns the length of the received data, after the charge, module (chip) is still in a state of receiving. 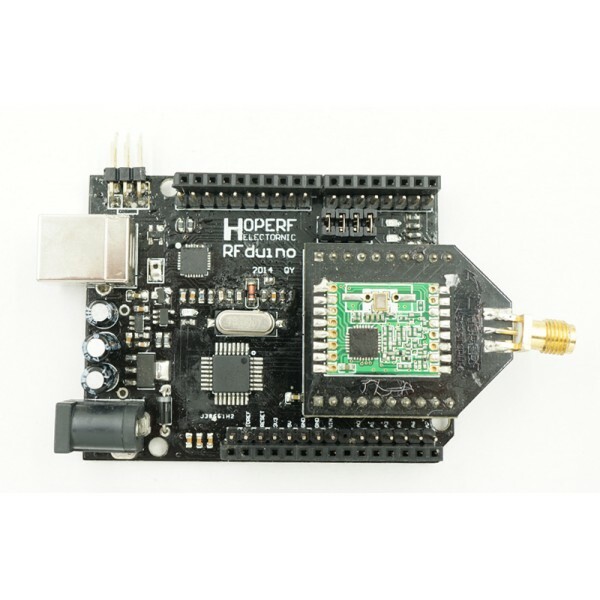 This entry was posted in Application, HopeRF and tagged LoRa, LoRa module, RFduino board, RFM92W, RFM93W, RFM95W, RFM96W, RFM98W on April 2, 2016 by Ameisina. RFduino Board which is compatible with Arduino UNO R3 and Arduino IDE. 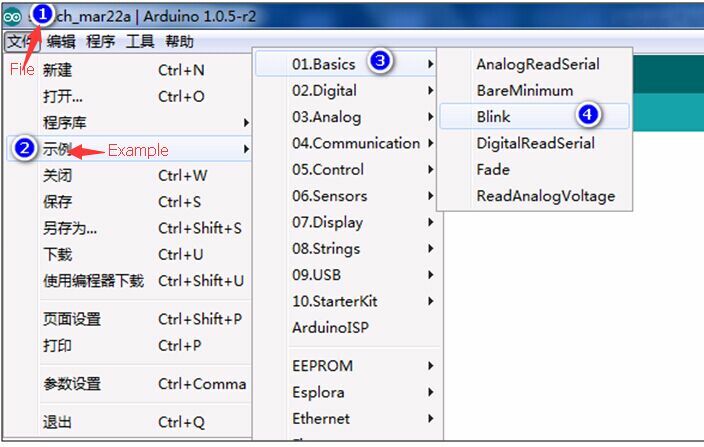 We recommand you use the Source Arduino 1.0.5 as IDE. 3.) Installation HoepRF-HSP hardware and softare service package(Click and download directly). Copy the content of the “hardware” in HoepRF-HSP to the file Arduino 1.0.5 “hardware”. Copy the content of the “libraries” in HoepRF-HSP to the file Arduino 1.0.5 “libraries”. 4.) Connect the RFduino board to PC through the serial port. 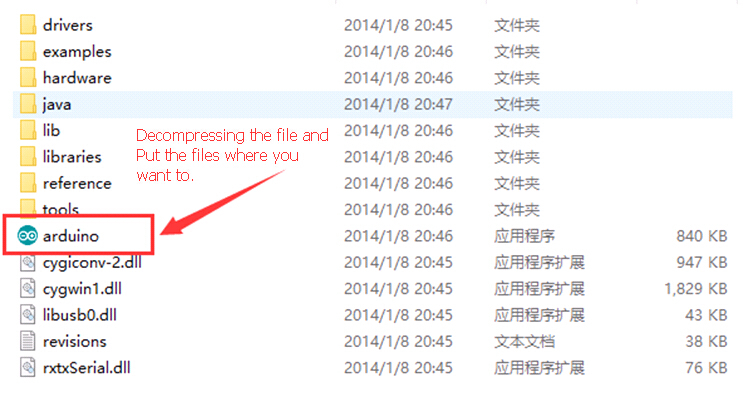 At this time will re-open the Blink routine file, as shown in the figure below, click on “compile and download”. You can continue and Enjoy all of the series wireles modules Function which various corresponding validation HopeRF routines for you need to test. This entry was posted in Application, HopeRF and tagged arduino, Hoperf module, RFduino, Wireless module on March 31, 2016 by Ameisina. When using RFM92,RFM95,RFM96,RFM98 module for application design, firstly developers must configure the initial values for all the registers in RF chip. The configured initial values are different under different operating modes, which increase workload and difficulty of developers. In order for developers to quickly obtain the configuration values of all the registers inside chip under different RF parameters, HopeRF launches StarterKit Tool as the on-chip register configuration tool, which can automatically generate the matched register configuration values according to RF parameters set by developers. StarterKit Tool is based on HopeRF RFDK_PIC16_LCD development board for online use. Developers can download the register StarterKit Tool of corresponding module on HopeRF website, install it on upper PC, then connect RFDK_PIC16_LCD development board with upper PC through USB interface, open RFM9x_GUI software interface to write the register configuration values under different RF parameters into RF module through RFDK_PIC16_LCD development board. In this way, developers can test the operational effect and parameter performance of RF module under different RF parameters. RFDK_PIC16_LCD development board platform system is a hardware development platform based on PIC16 series single chip processor of Microchip Company. The software development environment is MPLAB IDE v8.86; It is applicable for all the RF module products of HopeRF and supports off-line operation. It only supports Lora operation mode under on-line state, but supports 2 operation modes including Lora and ordinary under off-line state. The third step: connect the programming unit to the download interface of RFDK_PIC16_LCD development board and click programming to have RFM9x_GUI_DK_Firmware_140303.hex file burnt into RFDK_PIC16_LCD development board. The programming unit would prompt programming success (The programming success is shown in OUTPUT small window in the right picture as below). StarterKit Tool includes 2 functions. One is to facilitate customer’s performance evaluation for RFM9X Lora series product in early development phase, and the other is to import Lora configuration parameters in development process. then open the folder, double click setup file “ ” to enter into installation window (as shown in the following picture) and click Install to complete software installation. The following picture is StartKit Tool software window. Open Config: Opening the configuration file (.hpflr) saved in StartKit Tool would have the register tool read into correspondent file dialog box through a standard window file dialog box and then have this configuration written into RF module. This function can also be realized through Open File in window toolbar. Save Config: Save the configuration file (.hpflr) of current RF module in register configuration tool, which is realized through a standard window file dialog box. 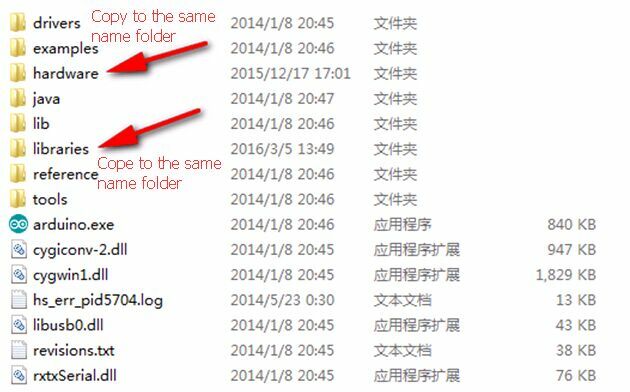 The default filename is the last configuration file saved. Exit: Exit from current application. Save Config: The save button will save and prompt whether to cover the existing configuration file. Connect/Disconnect: Connect or disconnect the control register configuration interface with DK development board. 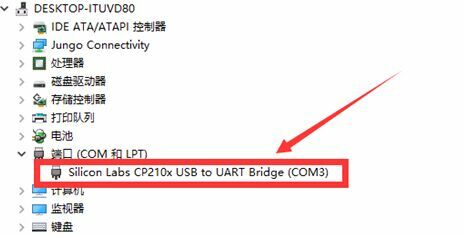 Connect Indication: It indicates whether DK development board is in PC connection. If it is currently in connection state, this icon will be displayed as green. If it is in disconnection state, this icon will be displayed as grey. Modem: It can display operation mode of RFM9x. The development board in online operation can only work under Lora mode. Register List: Opening Reg Table window will have Reg Table display all the configuration values under current operating states, as shown in the following picture. ChipType: RF module type. When PC is not connected to RFDK board, the module type can be selected, including two types: RFM92/3 and RFM95/96/97/98. The stored configuration listing file is the parameter configuration of the selected corresponding module type. When PC is connected to RFDK board, RF module type on RFDK board will be automatically identified. ChipType option becomes grey, thereby being prohibited for operation and displaying corresponding RF module type. In Crystal configuration field are configured the modular work center frequency and reference clock parameter. Medium frequency in Radio Frequency configuration module. In Crystal Type is configured the clock crystal type. Lora module can support temperature-compensation crystal oscillator and ordinary crystal as reference clock sources of module. If user’s requirement on frequency error is relatively high, please use the temperature-compensation crystal oscillator and select TCXO option, otherwise firstly select XTAL. In TX Setting configuration field is configured the module transmitter parameter, including RFOUT AP, digital edge gradient, maximum output power, output power, phase locked loop band width, protection switch of output power consumption and maximal threshold of output power consumption protection. PA Output: RFOUT AP selection. The output AP includes 2 channels, PF0 and PA_Boost. Maximal output power of PF0 is +15dBm. Maximal output power of PA_Boost can reach +20dBm. PA Ramp: The edge gradient parameter setting of the transmitted digital signal, with setup scope in 10-3400uS. 1.MaxOutPower: Maximum power setup of RFOUT, with setup scope in +10.8 ~ +15dBm. Under PA_Boost mode, maximum is +20dBm. 2.Output Power: RFOUT power. The setup scope: 0 ~ +20dBm. 3.PLL bandwidth: Phase locked loop circuit band width: 75 / 150 / 225 / 300KHz. 5.OCP Trimming: Maxima threshold of output power consumption protection, with setup scope in 100 ~ 240mA. In Rx Setting configuration field are configured all kinds of parameters on receivers, including relevant parameter setup of automatic gain controller and low noise amplifier. 2.LNA Gain: Low noise amplifier gain options, including 6 levels (G1 ~ G6). When AGC is on, this option cannot be selected. 3.LNA Boost: Sensitivity improvement switch. Enabling this function would improve sensitivity to a certain extent, but would increase power consumption. In Lora Setting configuration field are configured all kinds of parameters under Loar mode. The relevant parameters of Lora include: Spreading Factor, prepositive error correction format(Coding Rate), Band Width, low rate optimization switch(LowRateOptimize), preamble code length(Preamble Length), data packet CRC switch(Payload CRC), implicit header length, etc. Packet Inf field is an information field, mainly displaying the real-time parameters in operating process of RF module. HeaderCnt: Times of accumulatively received useful information guiding headers. PacketCnt: Accumulatively received data packet quantity. RxBytesCnt: Data length of received data packet. CRC ON: CRC check functional switch state. IRQ status indication is displayed as green. If RFDK generates IRQ signal when normally working, corresponding IRQ indication flashes purple once. If a certain IRQ is checked, corresponding IRQ register indication would be masked at that time and corresponding indicator is grey. Users can change the operating mode of RF module through Operator operation control field. Clicking corresponding option in control field and then clicking Start button will have the button become Stop button and RF module immediately enter into the selected operating mode. When RF module enters into normal work, options in control field cannot be operated. Rx Lora: Real-time Lora receiving mode, with received message content displayed in Message display area. Tx Lora: Lora transmit mode, transmitting the message content input into Message display area. CAD Lora: This operating mode is to satisfy low power consumption demand. Under this mode, customer can actually evaluate actual power consumptions under different parameters. INT: Time interval between neighboring two times entering into CAD Lora operating mode. TxCnt: Accumulative times for RF module to transmit messages. 1.Message display field is a standard input/output window. When the module works in TX mode, user can input message information to be transmitted in beforehand Message through keyboard. When the module works in RX mode, the message information received by the module will be printed out in Message display field. 2.PLL Lock: Operating status indication of module’s phase locked loop circuit. If the phase locked loop circuit is in working order, the indication will be green. 3.HEX: If this option is selected, the message will be printed out in hexadecimal mode, otherwise it will be printed out in ASCII code mode. 4.NewLine: If this option is selected, each time the module transmits the message content; it will be printed in auto linefeed mode. 5.Clear: Clicking this button will clear all the message information in Message display field. Indicator 1 indicates that RFDK board enters into PC on-line operating mode. Indicator 2 indicates that RFDK board works in Lora mode. Turning on power switch of RFDK board would directly enter into offline mode, under which mode RF module on RFDK board can work in 2 modes, Lora and ordinary FSK. Under off-line operating mode, switching between Lora and FSK modes, configuring parameters, switching all kinds of test modes and other operations can be completed through four keys S1, S2, S3 and S4 on RFDK board. 1.FSK straight through normal receiving mode: is to facilitate evaluation of RF module’s receiving sensitivity. The precondition of entering into this mode is under normal FSK mode. 2.Lora receiving mode: supports reception for the signal of vector signal generator, thereby being able to test Lora receiving sensitivity. The precondition of entering into this mode is operation under Lora mode. 3.0 frequency test mode: is to facilitate test carrier frequency of RF module. 4.Frequency deviation test mode is to facilitate test of Fdev parameter. 1.When RFDK board is under normal operating conditions, long press key S3 till RFDK board issues Bi sound, meanwhile digital code segment in frequency band where display center frequency is located and front three digital codes in display frequency are jumping, which indicate that RFDK board has already entered into parameter configuration mode. display segment of selected parameter would jump. 3.Short press key S2 (-) or S4 (+) can change the selected parameter value. 4.Short press key S1 can quit the parameter configuration mode. After starting up, LCD will display current configuration parameters, including center frequency point, operating mode, transmit-receive operating status, strength of transmitting / receiving signal, baud rate, frequency deviation, band width, etc. The display on LCD screen under FSK operating mode is shown in the picture below. Indicator 1: displays center frequency. The small characters indicate frequency band where frequency is located. Four frequency bands are set: 315MHz, 433MHz, 868MHz and 915MHz. Indicator 2: displays operation in FSK mode. Indicator 3: displays operating mode. What is displayed in the picture is the slave receiving mode. Indicator 4: displays the transmitted power. Indicator 5: displays transmission rate (Baud Rate) of transmitting / receiving signal. Indicator 6: displays frequency deviation (Fdev) of transmitting / receiving signal. Indicator 7: displays band width of transmitting / receiving signal. Indicator 8: displays RSSI value of recently received signal. What this indicator displays in normal operating mode is RSSI value of recently received signal. But under receiving test mode, it would real-timely display RSSI value of signal, namely this value can be regarded as environment noise. Indicator 9: Accumulative quantity of the transmitted data packets. Indicator 10: Accumulative quantity of the received data packets. In FSK normal communication mode, it needs at least two RFDK boards simultaneously working. Only in this way, can normal communication effect be achieved. One equipment performs active transmitting (A – t) and the other performs slave receiving ( A – r). The master device would issue data once at intervals. After transmitting is completed, counter would perform automatic accumulation. After the slave device receives the signal from the master device, the receiving accumulating counter of the slave device will perform automatic accumulation and return a reply to the master device to complete three times handshake communications of two devices. The normal communication process in Lora mode is the same as that in FSK mode. 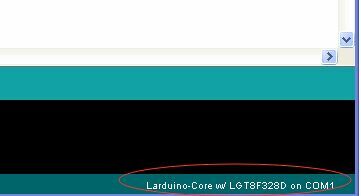 Two pictures below display LCD display content when Lora mode has not entered into normal communication mode yet and LCD display content when Lora mode has entered into normal communication mode. located. Four frequency bands are set: 315MHz, 433MHz, 868MHz and 915MHz. Indicator 2: displays operation in Lora mode. Indicator 4: displays the transmitted power (Max: 20dBm ). Indicator 5: displays the pre-error-correction function format setup of Lora(Coding Rate 4/5 ~ 4/8). Indicator 6: displays spreading factor (SF 6 ~ 12). Indicator 8: accumulative quantity of the transmitted data packets. Indicator 9: accumulative quantity of the received data packets. Indicator 10: displays RSSI value of recently received signal. What this indicator displays in normal operating mode is RSSI value of recently received signal. But under receiving test mode, it would real-timely display RSSI value of signal, namely this value can be regarded as environment noise. Indicator 11: displays signal/noise difference of recently received effective signal. This display would appear only after entering into normal operating mode. Under normal operating mode, frequently pressing key S1 to issue three Bi sounds will have RFDK board enter into test mode. What are shown in the following pictures are displays of entering into different test modes. The first stage (tst1) of entering into test mode is the receiving test mode. Pressing any key in this stage would switch to 0 frequency transmitting test mode (tst2). Pressing any key again will switch to the frequency deviation test mode (tst3). Pressing any key again by this time will quit the test mode. For further information can visit www.hoperf.com and get Hoperf module samples order from the online shop www.dwmzone.com . This entry was posted in Application, HopeRF and tagged LoRa module, RFM93W, RFM95W, RFM96W, RFM98W, StartKit Tool Application, StartKit Tool user guide on September 23, 2015 by Ameisina. How to fill the Shopping-Shipping agent form ?